Today I finally handed my dissertation in after six months of living in the library! I'm so happy to finally be able to write something a bit more enjoyable and not have the pressure of 15,000 words to think about! A few weeks ago I treated myself to some new makeup as I haven't bought any in months and the 3 for 2 offer in Boots is hard to resist! After seeing the Barry M Speedy Nail Polish in Eat My Dust on Instagram I knew I had to have it as it's the perfect summery shade. I love fast drying nail polishes as I always make a mess of my nails when i'm waiting for them to dry and this one is definitely one of the best i've tried. I did need three coats to make the colour opaque but the thin consistency meant that they dried perfectly and so far haven't chipped. I've got my eye on a few of the other colours in the range... not that I can really justify any more new nail polishes for a while! 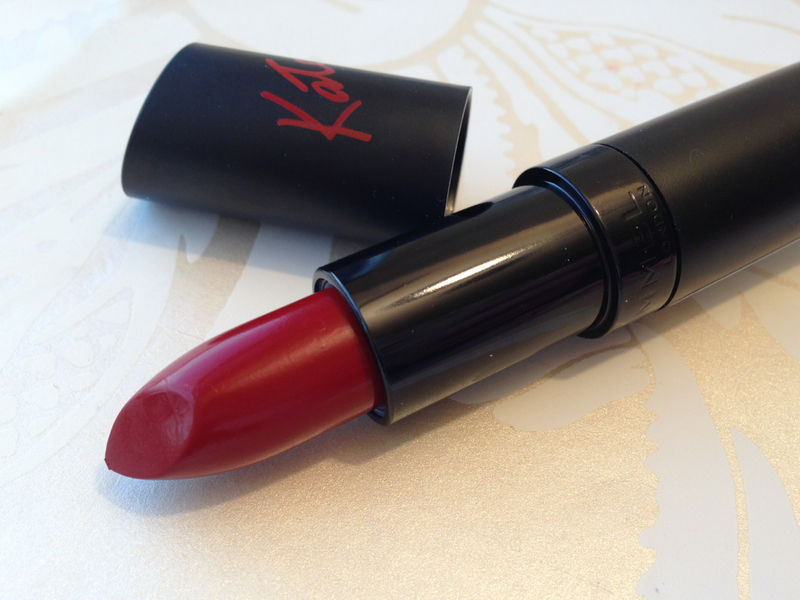 I'm always a bit scared of wearing a bright lip but thought i'd bite the bullet after hearing good things about the Rimmel Kate Moss Lipstick in 01. I'm still not sure if I suit this colour but I was impressed with this lipstick as it isn't drying and the colour lasted well even after i'd eaten. I'm definitely going to have a look at other colours in the range as it was only £5.49 which I thought was really reasonable. 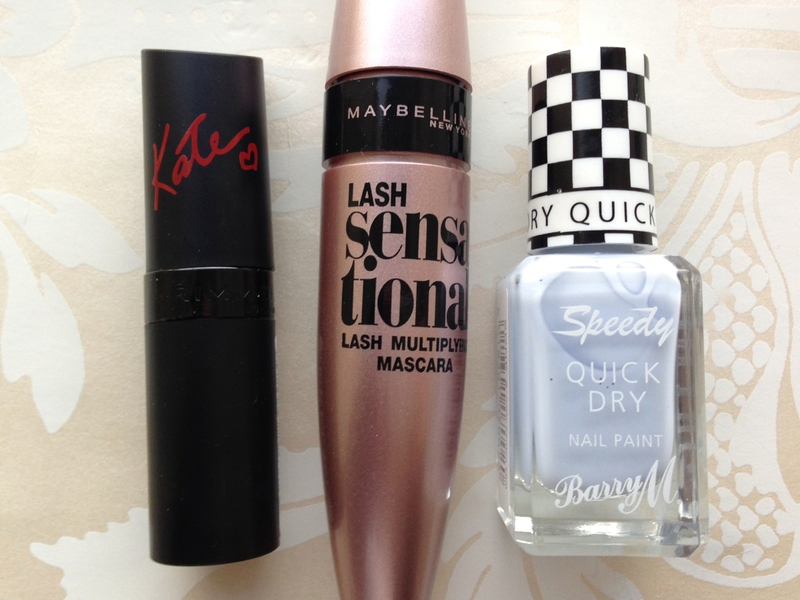 The final thing I bought was the Maybelline Last Sensational Mascara as my current mascara is drying up. 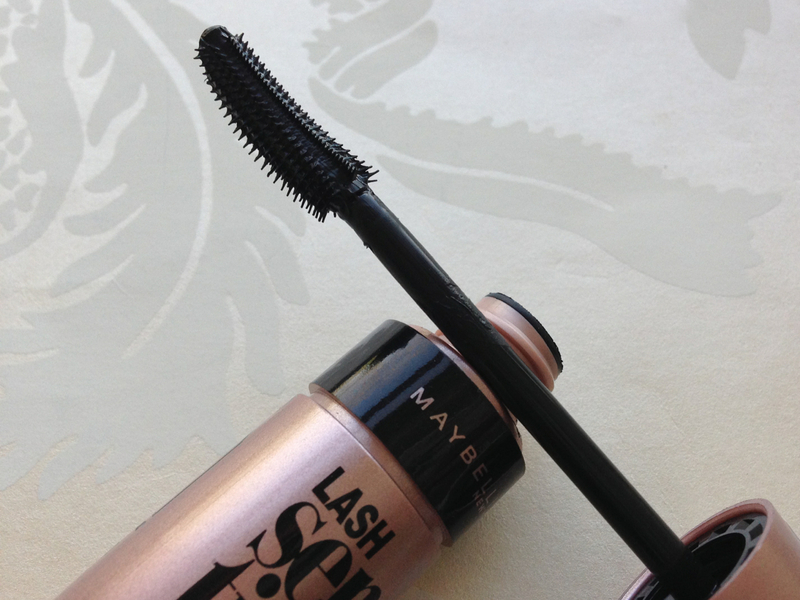 I've repurchased the Max Factor False Lash Effect so many times so this mascara has a lot to live up to but it's nice to try something new especially when its a bit cheaper! I was really impressed with how well this mascara lengthened my lashes and it didn't really smudge or flake off during the day which is something my Max Factor mascara sometimes does. I've only tried this a couple of times so I can't say yet if i'd repurchase it but so far it's looking good!